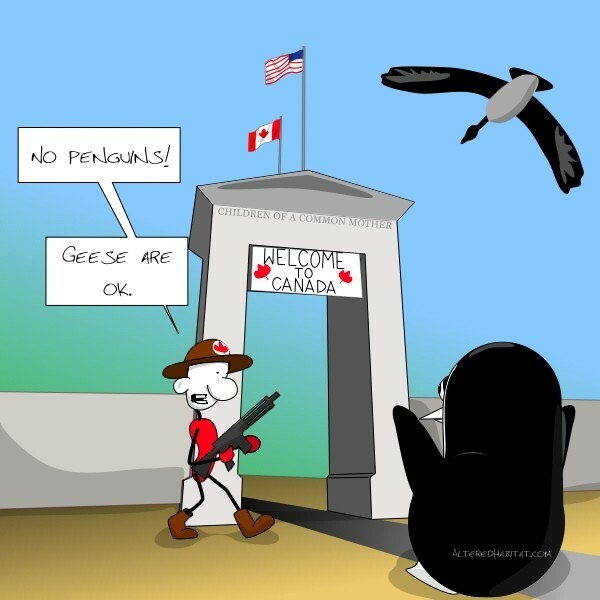 Penguin tries crossing the US to Canada border and is stopped by a Mountie with a gun. 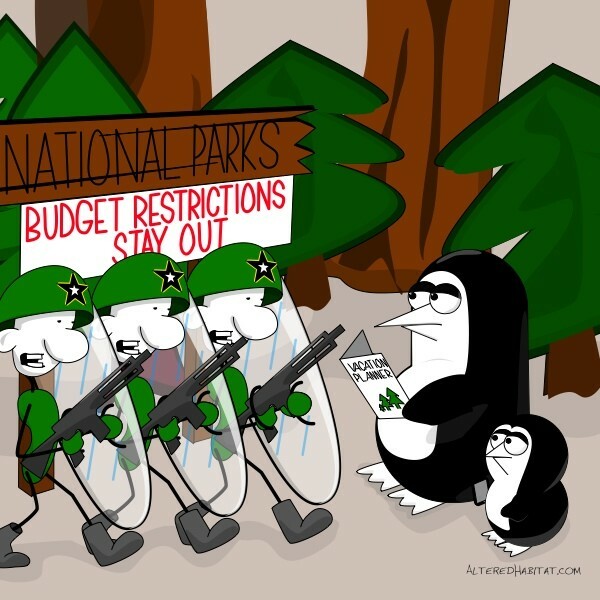 ↓ TranscriptGoing to a National Park, Penguin and Tip find themselves facing a military blockade with a sign, "National Parks, Budget Restrictions. 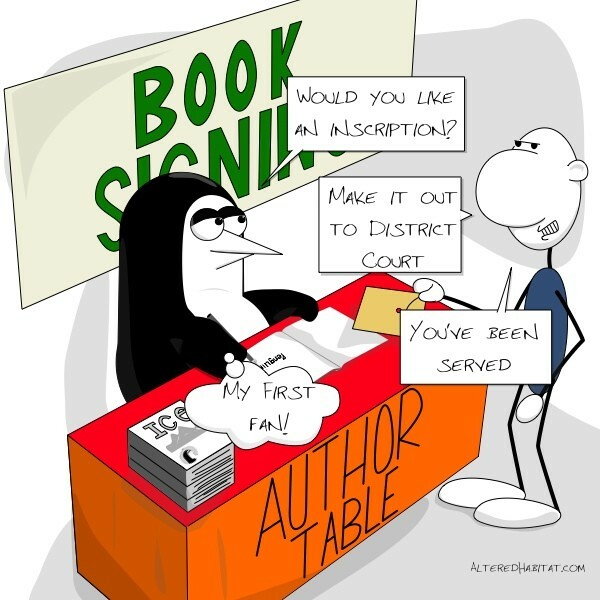 Stay Out"